my studies in such a positive way. which made my move to Australia and to school stress free and exciting. class learning, both hands on and practical in such incredible ways. more visual and hands on approach of work place hygiene and safety. from us in class to succeed in our studies. marketing team have taken of us mixing coctails in class or making our first coffee! Thank you Evolution Hospitality Institute! Times Academy is conveniently located in the centre of Sydney’s CBD close to public transport, shopping, cafes and popular entertainment spots. Our modern, freshly renovated campus provides a relaxing and invigorating learning experience. Our accredited courses are delivered by specialist teachers who are passionate and committed to providing quality courses that allow you to be successful and achieve your goals. Study with us and experience the best that Sydney has to offer. · 10 spacious and air-conditioned classrooms with bright natural light. Students at MEGA benefit from our qualified team of teaching professionals with real-world, best-practice experience in industry and the global business arena, offering world-class standards in English Language, Accounting, Business, Marketing & Communication, IT, Travel & Tourism Management education. A MEGA education equips students with the English language and vocational skills, knowledge and exposure to current business practices and work experience needed to succeed in our competitive world. Programmes at MEGA are state-of-the-art, comprehensive and demanding, creating a solid foundation in business techniques, preparing young adults to shape the future of their chosen discipline. Since 1991, ELSIS – English Language Schools has been providing English courses to students from all over the world including South East Asia, South America, and Europe. Such a great mix of nationalities makes ELSIS a vibrant place to study and learn English. Students enjoy our welcoming atmosphere, great location and excellent facilities. Aside from English classes, we offer free workshops and an interesting variety of social activities. By choosing ELSIS, you will be able to improve your English, as well as build lasting friendships at one of our three campuses. We look forward to welcoming you in the near future. Academies Australasia Polytechnic (AAPoly) provides a highly supportive and conducive environment to study and grow. We pride ourselves on making every student feel welcome, as part of the ‘AAPoly family.’ Our main campus is located in Melbourne and another campus is in Sydney – two of the world’s great cities. Both of these cities are clean, safe, friendly and culturally diverse. Our commercial cookery training kitchen is located on Swanston Street, Carlton, Melbourne. AAPoly started education services in 2002, and in 2011 it became part of the Academies Australasia Group Limited (AKG), established in 1908. AKG is a publicly listed company on the Australian Stock Exchange, with more than 50 years’ experience in education. AAPoly has a wealth of experience delivering English, Vocational Education and Training and Higher Education courses to domestic and international students (18yrs+). You will find a first class learning experience in the areas of Accounting, Business, Commerce, Management, Information Technology, Tourism & Hospitality, and Community Services. We also offer the Professional Year for Accounting program.AAPoly has been a Federation University Australia (Fed Uni) Partner Provider since 2005, delivering a selected range of FedUni’s Higher Education programs in the areas of Business, Commerce and Management. AAPoly offers excellence in teaching. Our lecturers and trainers are fully qualified, experienced teachers who are passionate about their discipline and education. They have professional experience in the industry and are abreast of contemporary developments in their fields. We know and care about our students and are focused on helping students learn, develop and achieve their academic goals. Evolution Hospitality Institute is pleased to be partnering with the leading Vegan School in Europe – Vegan Culinary Academy (Mallorca Spain), to present an exclusive interactive program on the Art of Vegan Cooking. The founder, Manuel Lynch along with the Principle Instructor, Jessica McKenzie, will be delivering this engaging 3-day session. In participating in the program, you will develop your knowledge and skills in relation to how to make plant-based vegan dishes easily, inexpensively, and profitably. The program will offer practical skills in café, restaurant, and pub fare. This program is suitable for all, you are not required to have formal experience in the kitchen, the only requirement is your love and passion for food. The course is fully inclusive and covers all food products used within the 3 days along with the recipe booklet containing recipes and methods for the workshop. We are located at Level 4, 552 George St, Sydney 2000. We are right above Town Hall Station facing directly opposite St Andrews Cathedral and Town Hall,, next to the Commonwealth Bank. All attendees are required to arrive at least 15 min prior to the scheduled workshop start time, this is to ensure you are ready to commence on time. – Casual style shirt or polo style top. Evolution Hospitality Institute will supply you with an apron and hair cover, along with basic knives. Should any attendee wish to bring their own Kinife Kit you are more than welcome to do so. For further information please contact our reception on (02) 8275 – 5300, all attendees will be required to complete the Enrolment Form which is available on line, once completed please forward to amalia.portelli@evolution.edu.au payment can be processed through the Credit Card Authorization as per the details on page 2 of the Enrolment Form or over the phone. We look forward to welcoming you to Evolution Hospitality Institute. *By downloading this form, I subscribe to Evolution Hospitality Mailing list. 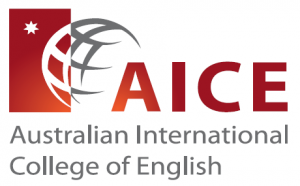 The Australian International College of English (AICE) is a comprehensive English language schools in the heart of Sydney’s CBD within two minutes’ walk of the famous World Square precinct and five minutes to Town Hall Station. We offer students a supportive and encouraging environment to ensure they meet their English language goals for further study. All pathway students are given individual learning plans and counselling with their teachers to ensure they are on track for their next level of study. Support services include airport pickup, homestay and regular extra-curricular activities. Our current course offerings are General English (day and evening), English for Academic Purposes, High School Preparation and IELTS Preparation. The International House brand is highly recognized throughout Europe and South America. Many students in these regions may have already attended schools in their home cities and know the IH brand prior to enrolling in International House Bondi.Flexible Semi-Intensive courses, allowing students to move from morning to evening and back, at no additional cost.IH Bondi, IH Sydney City and IH Darwin are offering the same English courses for the same prices, allowing students to move freely between the schools. Cambridge Preparation courses begin every 4 weeks, and run year round. International House Sydney City is part of the International House World Organisation, the oldest teacher training and language learning organization in the world. Being a Teacher Training Centre, we select the most qualified and motivated teachers for our English courses at both our IH Bondi and IH Sydney City locations. Great nationality mix! International House Sydney City annually receives students from 65 countries around the world. 50% of our students are from Europe, 35% from Asia and 15% from South America. Established in 1989, The Hotel School is a unique partnership between a public university, Southern Cross University (SCU), and a major player in the hotel and resort industry (Mulpha, Australia). This combination of academic excellence from SCU and industry connectedness from Mulpha creates an innovative learning environment that offers students talent development and networking opportunities both inside and outside the classroom. Established in 1989, The Hotel School is a unique partnership between a public university, Southern Cross University (SCU), and a major player in the hotel and resort industry (Mulpha, Australia). This combination of academic excellence from SCU and industry connectedness from Mulpha creates an innovative learning environment that offers students talent development and networking opportunities both inside and outside the classroom. Bachelor of Business in Hotel Management – This Southern Cross University degree which is the ideal starting point for anyone looking to make a career in hospitality-related businesses, focusing on management. Typically studied across a 3-year period, you will learn what it takes to operate a hotel to the satisfaction of your guests in the Bachelor of Business in Hotel Management. Providing hospitality to your guests – as well as managing administration and leading your staff – demands attention to detail and great people skills. Master of International Tourism and Hotel Management – In this Southern Cross University degree, you will learn how to react to a variety of challenging situations while managing an exceptional experience for guests and visitors. You will learn to develop and implement hotel/tourism strategy to ensure the success of business goals at a global level with a deep understanding of how hospitality markets operate in different locations relevant to your business. This master degree in tourism, hospitality and hotel management will provide you with lifelong learning skills, creativity and cultural competencies along with communications skills for a dynamic and global career. Graduate Certificate in International Tourism and Hotel Management – If you’re just looking for a short term boost in your skills or to advance your career, the Graduate Certificate in International Tourism and Hotel Management, a Southern Cross University degree, is an ideal way to boost your knowledge without committing to the full master’s degree. In the Graduate Certificate in International Tourism and Hotel Management, you will begin to learn about how management in tourism, hospitality and hotel sectors operate at a global level. Graduate Diploma in International Tourism and Hotel Management – This course will provide higher business and hospitality management skills that can be used in a variety of global commercial settings. This Southern Cross University diploma offers some strategy and planning elements will be incorporated into your curriculum. You will learn how to take action in different and often challenging situations involving guests, visitors, clients, staff, suppliers, local government and other third parties to ensure your guests enjoy their experience. YOUR LIFE, YOUR GOALS, YOUR SUCCESS! Study at Australia’s best English College and speak English like a local quicker than you ever imagined. Continue your studies at Greenwich Management College to advance your career while enjoying your new life in Australia. Your experience will be personalised to meet your goals and we will help you every step of the way. At Greenwich English College you choose from 10 different English courses ranging from General English, Cambridge EAP or IELTS preparation courses. All of our courses are the same price, and so your personalised study plan always represents what is best for you. We are the industry leader in Cambridge courses, with students benefiting from an accelerated English course. Students can also choose to take the exam at Greenwich as we are a fully accredited Cambridge Testing centre.Greenwich Management College offers Cert IV and Diploma courses in Business, Leadership & Management and Marketing & Communication courses, as well as Cert IV, Diploma & Advanced Diploma in Project Management. Tell us your goal and we will help you achieve it: Do you want to improve your IELTS writing skills, migrate to Australia, get a job, enter university or speak like a local? Embassy English has been providing students with invaluable language skills as well as amazing experiences since 1972. Being a global educator here are some of the reasons students now make Embassy English their choice.Embassy English has been providing students with invaluable language skills as well as amazing experiences since 1972. Being a global educator here are some of the reasons students now make Embassy English their choice. Embassy English has received 6 awards from Study Travel Star Awards as voted for by peers making it the first Super Star in the category of Chain School. From being the first language school to pioneer the use of interactive whiteboards to launching the first online progress tracker to monitor individual student progress with the Embassy onTrack tool, Embassy has been at the leading edge of innovation, exploiting the use of technology to enhance teaching and learning. Embassy’s teachers regularly receive 100% satisfaction rates from students due to their commitment, engagement and passion. Their teachers are focussed on measuring, monitoring and maximising student learning. ILSC Language Schools has been offering language training programs to International students from more than 100 countries since 1991, and is the largest and longest running of ILSC Education Group’s 5 divisions, which also include Colleges, Teacher Training, Language Training for Business, and Continuing Education. Since opening its first school in Vancouver, BC, Canada in 1991, ILSC has become a world leader in language training, and has grown to include 9 incredible locations around the world, in Vancouver, Toronto and Montréal, Canada; San Francisco and New York, USA; New Delhi, India; and Brisbane, Melbourne and Sydney, Australia. To keep developing ILSC as one of the finest schools for language and career education where people have excellent and transformative learning and living experiences. In 2013 and 2014, ILSC was voted by industry partners as Study Travel Magazine’s Star Chain School, an important recognition of quality in the language education industry. ILSC Australia is also member of English Australia and accredited by NEAS. Want to serve, sell or supply alcohol in NSW? This is the course you need! Evolution Hospitality Institute is an approved by NSW Liquor and Gaming training provider to deliver RSA in this one-day training course where you will receive an Interim Certificate as well as the Nationally recognised unit SITHFAB002 Provide responsible service of alcohol. Thank you for subscribing to the Evolution Hospitality Institute newsletter. Click here for the Certificate III in Commercial Cookery Brochure. Langports operates high quality English Language Colleges in Brisbane, Gold Coast and Sydney. Offering innovative and unique courses, Langports staff continuously provide a high standard of education and student services. Langports has been awarded ‘Best Language School in Australia’ for 5 years 2011-2015 by EducationStars. 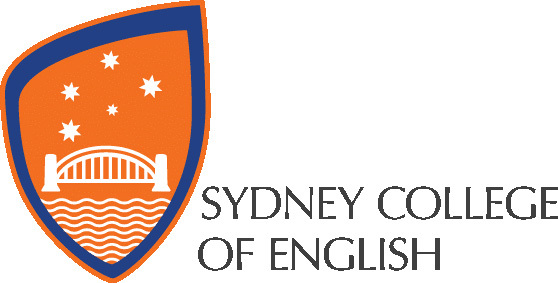 Sydney College of English (SCE) has been internationally recognised as a top quality independent school for over twenty eight years. As a foundation member of English Australia, first to be accredited by NEAS and one of only five schools accredited by IALC in Sydney, our mission is to provide the most productive, informative and fun learning experience for our students. We offer a diverse range of NEAS accredited courses in a flexible format. Our courses offer a number of entry and exit points from beginnner to advanced levels, and range from General English, English for Academic Purposes, English for Special Purposes – English for Health Professionals and Pronunciation and Fluency – and Examination Preparation Courses – Cambridge, IELTS and Occupational English Test. With numerous articulation partners (universities, TAFE NSW and high schools) and every opportunity to migrate between areas of study, SCE makes it possible for students to achieve real goals specific to their individual needs. We also take special care to ensure that life beyond the classroom is always comfortable and exiciting. We offer airport meeting services, high quality homestay or student residences, regular social activities, a vibrant mix of students from over 50 countries and a dedicated student services team who are always happen to assist students with any enquiries or concerns. English For Academic Purposes is a specific course of English Study to help students intending to enter an educational institution in Australia. It helps them to acquire the necessary academic literacy to survive any educaitonal insitution in Australia. Articulation pathways to various universities, colleges and TAFE are in place and each student is counselled by the EAP coordinator at various stages of their course of study to make the right decision for their future career paths. APC is the premier pathway insitution in Australia for students wishing to further their educational or professional careers. Our programs are widely recognised and offer extensive direct entry and articulation pathways to many universities, TAFES, and other highly reputable institutions and programs around Australia. APC is also the only private SVP (steamlined Visa Processing) partner with Central Queensland University. Our Programs are available face-to-face (Morning, evenings and weekends), online or as a combination (blended) of both. 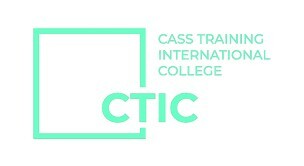 At Cass Training International College, CTIC, we strive to provide the perfect blend of education, activities and opportunities for our students. We offer courses in a range of faculties including: Business, Accounting and English. Our interactive educational programs are designed to improve students’ knowledge and abilities to equip them with the necessary skills to be successful in further education and employment. Our dynamic and experienced teachers, modern campuses, and our commitment to quality come together for an ideal learning environment. ELS Universal English College in Sydney is one of Australia’s leading English language schools with over 25 years of experience in teaching English courses to international students. We are committed to providing you with the highest standard of English language learning in a caring and supportive environment. Navitas English is Australia’s largest provider of English language training delivering English Language Intensive Courses for Overseas Students (ELICOS) and specialist training programs for English language teachers (TESOL) to more than 9000 students a year across Australia. Navitas English is a wholly owned subsidiary of Navitas; a leading global education provider that offers an extensive range of educational services to students and professionals including university programs, creative media education, professional education, English language training and settlement services. Navitas educates over 80,000 students a year via its global network of more than 110 colleges and campuses. Navitas English has over 60 direct entry agreements with Australian universities and vocational providers. Ranked #1 English Centre worldwide – i-graduate International Student Barometer survey 2013. 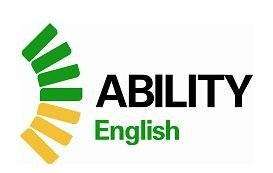 Ability English is an award winning English school with centrally located campuses in Sydney and Melbourne. In 2011 ABILITY English won the English Australia ETS TOEFL Award for Innovation in ELICOS for our General English Plus course. The award recognises Ability English’s innovative contributions of excellence to the ELICOS sector. Ability English won the award because it continually demonstrated strategic approaches to addressing clearly defined needs of international students, its institutional approach to and support of innovation; and its impact on students with clear evidence of use of a feedback loop.